Rake faster and more efficiently, in wet or dry hay, with the all-new RR140 rotary rake from Vermeer. 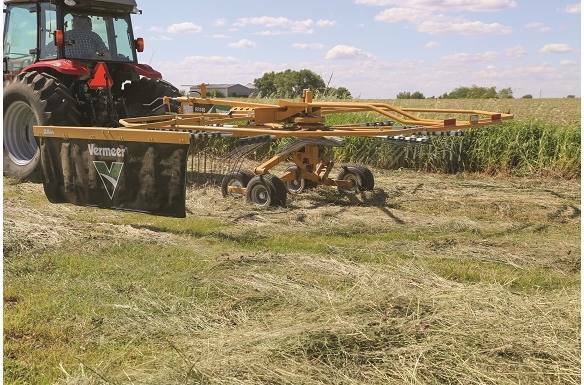 This versatile, side-delivery rotary rake is designed for operators focused on both speed and hay quality in a variety of crops, and who want a light, fluffy windrow with minimal crop roping. The RR140 has a maximum raking width of 13.75 ft (4.2 m) with a low 40 hp tractor requirement, making it ideal for small and mid-size operations. 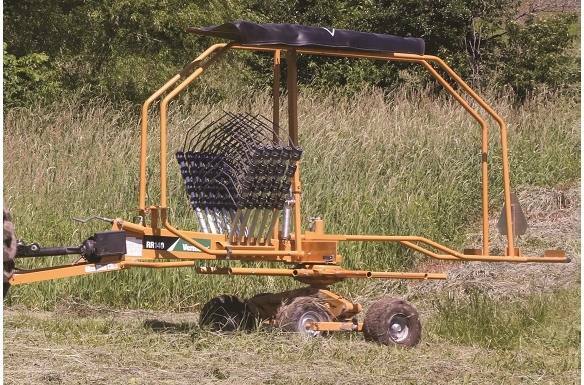 The RR140 rotary rake is capable of making windrows at a minimum of 16 in (40.6 cm) wide and up to 3 ft (0.9 m) wide, depending on the volume of the crop. With 11 arms, each equipped with four double tines, the RR140 is gentle on the crop and allows for air flow through the windrows for quicker dry down. 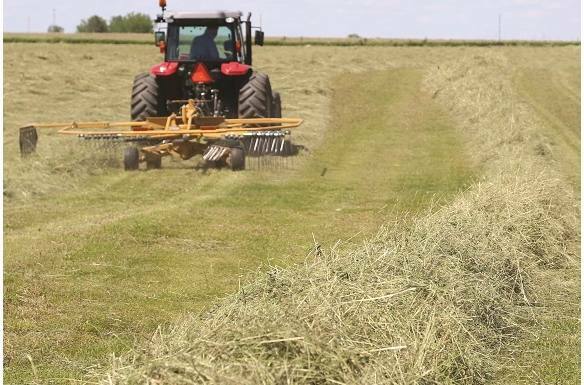 Hydraulic lift and rake adjustments help ensure operators can get up and over windrows and minimize ash content getting raked into the windrow. Two lift cylinders work off of the same circuit to allow the operator to adjust raking height from the seat of the tractor. There is also a manual crank that allows you to set the rake pitch. With a transport width of 6.7 ft (2 m), the RR140's perimeter guarding on both sides folds directly up and the 11 arms hook into storage locations on the tongue. This provides ability to transport down narrow roads and through gate openings.